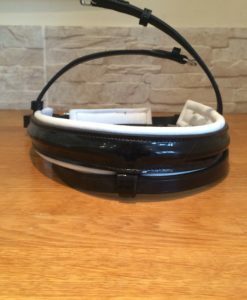 The luxuriously padded headpiece is shaped to curve away from the base of the horses ears, as this is a particularly sensitive area. 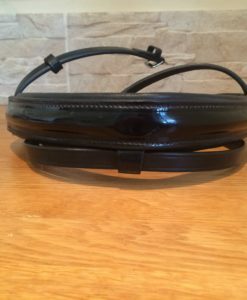 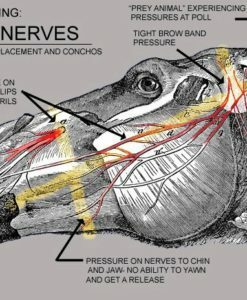 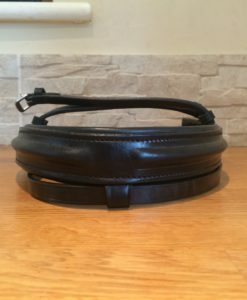 This helps to reduce pressure in the poll area and therefore reduces resistance to the bridle, allowing the horse to work more freely. 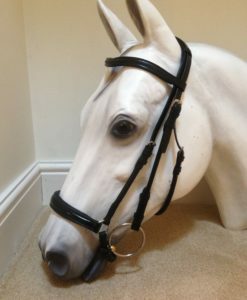 The noseband attaches as both sides (unlike traditional bridles) and a separate piece of leather runs over the top of the headpiece for the cheek pieces to attach to. 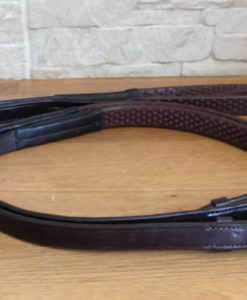 This new design means there are no holes in the leather to slip the noseband through, making this bridle safer and smarter. 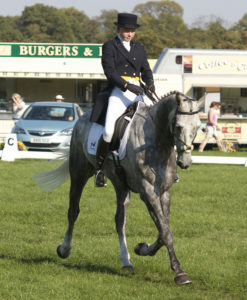 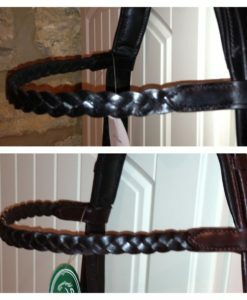 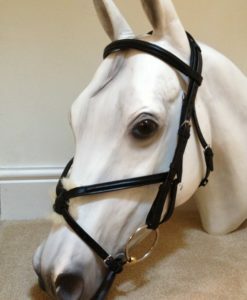 This bridle has been featured & recommended in Horse & Hound Magazine. 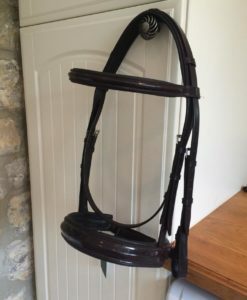 The bridle comes complete with a Patent crank cavesson noseband, which is generously padded. 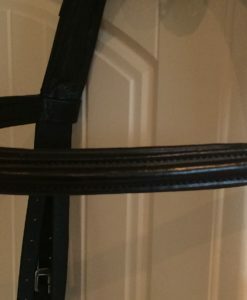 Complete with matching patent browband, as shown in the image, but if you prefer a bit of sparkle our crystal browbands look amazing with this bridle. 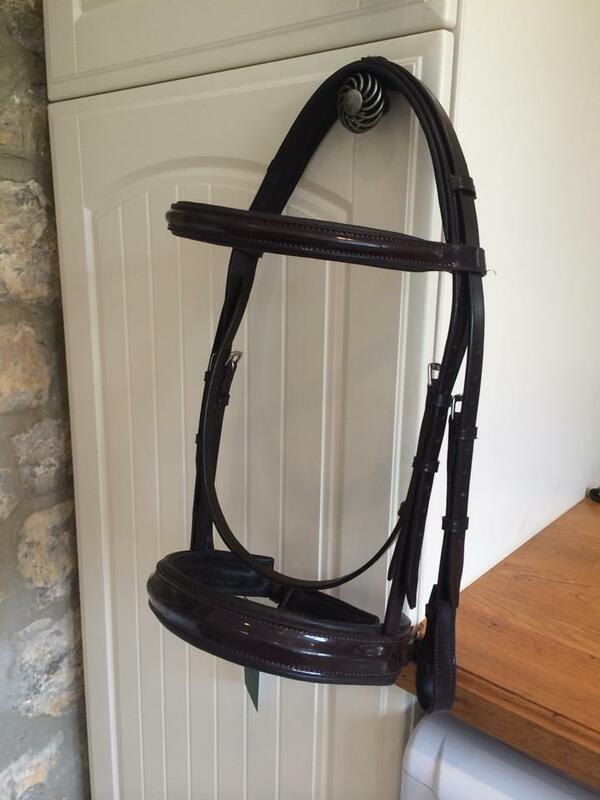 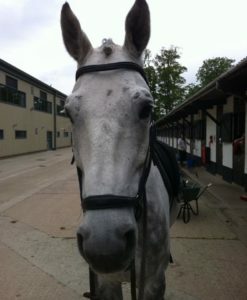 Additional nosebands may be purchased to fit this bridle. 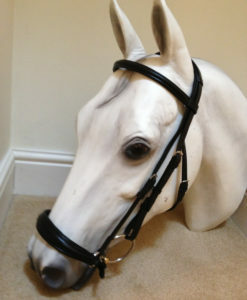 The nosebands will also fit a Jeffries IR bridle or an Albion KB. 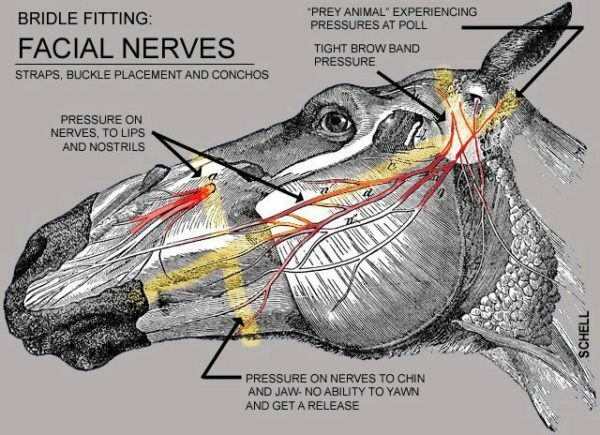 If you require help with fitting or a mix of sizes, please contact us, as we can make up bridles based on measurements supplied at no extra charge. 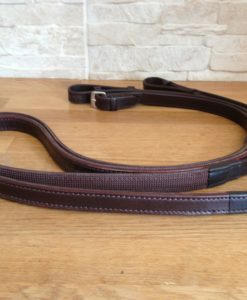 Made from the finest, soft & supple English leathers, hand stitched, with 11 stitches per inch. 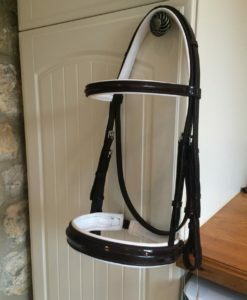 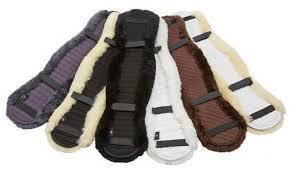 This is the very latest design in comfort poll bridles.